As we begin this New Year the Church in Australia will be considering its response to the findings of the Royal Commission on Institutional Responses to Sexual Abuse, to the SSM vote, the Euthanasia provisions in Victoria, the reducing number of mass attenders, financial issues etc. Yet due to immigration the Catholic Church is still the largest Christian group in Australia and one of the biggest employers in the nation. It is the Anglo-Celtic cultural group that has abandoned the Faith and it is the Spiritual Heritage of this cultural group that the Ordinariate present to the Church as a gift. This fact presents us with a significant challenge, but our experience is one that the Church needs at this time. In his recent book, ‘Strangers in a Strange Land,’ (2016 MacMillan USA) Archbishop Chaput of Philadelphia says that there are at least three problems that make it difficult for us to believe, live and teach the faith of the power of Jesus’ resurrection. He identifies the ‘cults of individualism, institutionalism and clericalism as the obstacles to our mission and ministry (p 185). Recently a future bride approached one of our Ordinariate priests to celebrate her wedding stipulating that she wanted a ceremony that was ‘spiritual, not religious.’ Chaput considers the appeal of the ‘spiritual’ may resonate with roman catholics in a secular age, but it is not Christianity. As George Weigal says, “Spirituality is man’s search for God, while Catholicism is about God’s search for man” (Evangelical Catholicism, Basic Books, 2013, p 17). Even Catholics who are weekly mass attendees, and this includes some Ordinariate members, are prone to have an individualistic approach to their faith. Attendance at mass does not mean they are active in the parish in any other way, nor do they see that inviting others to come and encounter Jesus within the parish community is an integral part of discipleship. They may be prone to demanding that the worship and activities of their parish is geared to their individual taste, claiming that their preferences are the traditions of the parish. It has been the sad experience of some Ordinariate communities that share a church building with a local diocesan parish to encounter this attitude from the diocesan laity and clergy. It is not only individuals that suffer from individualism, but many Catholic parishes can behave more like Congregational Protestants than members of a Universal Episcopal Church. Ordinariate clergy have not been inoculated from the tyranny of individualism. It is easy for priests to forget that incardination means their ministry is in partnership with and on behalf of the Ordinary. The Anglican formula at inductions of, ‘Receive this ministry which is both thine and mine,’ is worth remembering. Our task of building up a sense of belonging to a Particular Church is not easy because of our scattered locations. No one is suggesting that the Ordinariate communities must be monochromatic, but it is important that our worship falls within the permitted variants and reflects the tradition of the local faith community. It is also important to bear in mind that growth is coming to us from the wider Catholic world, not the Anglican one and that these newcomers are not used to over lengthy masses. If we want to be welcoming without compromising our tradition we have to ensure that our service sheets or booklets are very user friendly. It also means that we should be sensible about the length of the mass. The Ordinariate Sunday mass is never going to be the length of a diocesan mass, but we really should avoid artificially extending it by duplicating such things as having both the Propers and hymns, preaching overlong homilies and singing overlong hymns, having lengthy intercessions, and adding many of the options the missal provides. There are differing opinions as to whether it is appropriate to say the Angelus directly after the dismissal at the Mass so making it part of the mass or whether it should be available for those who wish to remain in church after the priest has removed his chasuble. Because most Ordinariate communities share a diocesan building and the times of masses are not always ideal, this is another reason we have to aim for a balance between proper devotion and time available. I am of the opinion that one of the reasons the Royal Commission has focussed so much attention on the Catholic Church is that it is seen as a universal institution with an identifiable head that so far has not bent to the dictatorship of secular individualism and relativism. Because the Church has a network of schools, hospitals and charities and is active in justice issues, it appears to be a corporate entity. Like many other Corporations and Professional Bodies, the Church is accused of defending its reputation rather than exposing the evil acts committed under its umbrella. Cover-ups are indefensible and the Catholic Church has done more than many other institutions to address these issues, yet it is still possible for the Church to behave like a self-serving multinational corporation rather than the Body of Christ whose supreme law is the salvation of souls. Pope Francis constantly attacks what he sees as legalism in the Church’s dealing with people. This of course draws the ire of those who see safety in the strict application of Canon Law and Tradition. On the other hand there are those who want to promote the primacy of conscience and redefine the Church’s experience in the name of mercy. We in the Ordinariate must endeavour to hold these two extremes in tension. This requires obedience to the Tradition and Law of the Church yet applying it pastorally to help those who fall short to understand what lies behind the Church’s teaching in the hope that they will aspire to follow it. One of the characteristics of our Patrimony that must be visible and shared with others is our pastoral approach. Chaput describes clericalism as, “a peculiar kind of co-dependency. It distorts the role of both priest and people. On the surface, clericalism is an excessive stress on the role of the ordained leadership in the Church, and a demeaning of the lay vocation.” Fr Alexander Lucie- Smith describes it as ‘clerical authoritarianism’ (Catholic Herald 12 Jan 2018). For those of us coming into the Catholic Church from Anglicanism we have had to adjust to a differing way of organising and managing our parish life. The shift from Parochial Councils and Synods in which laity have deliberative votes, to a system whereby the parish priest is the sole decision maker but is obligated to receive advice from laity that has no deliberative vote, has caused disturbance in some of our Ordinariate communities. The danger is that it is too easy for priests to hide behind the protective shield of Canon Law and treat the parish as a personal fiefdom in which the laity are expected to ‘stay, pray and pay.’ This may enable the priest to do what he wants, but the down side is that if he is responsible for everything, he is blamed for everything and the laity is let off the hook. If the laity feels disenfranchised, the only weapon they have is to vote with their feet or reduce the level of their giving. The findings of the Royal Commission highlight clerical authoritarianism as contributing to the abuse crisis. This is providing oxygen to lay groups who are vying for more control in the Church’s management at every level. The lurking danger is that the laity is more in tune with the Royal Commission’s view of the Church as a Corporate Body than as the Body of Christ. They are more likely to absorb secular morals and ethics than most clergy and be open to compromise on the Catholic nature of the institutions they manage. It is not only Catholic Education and Catholic Health Care that are affected by laicisation. Every Catholic agency has to look at how much it reflects Catholic teaching and values in the promotion of its mission. Pope Benedict took direct action against Caritas because he considered it was losing its Catholic foundational principles. The Catholic Church and her members must rediscover what it means to be Catholic but be careful and creative how the laity is brought into participating in the mission of the Church and its decision-making processes. If it doesn’t, it will lose its ability to proclaim the gospel of salvation as surely as the Protestant churches have done. Once again, we in the Ordinariate have personal experience of what could be done and what must be avoided. I think most, if not all, of us would agree that any attempt to replicate the Anglican Synodical structure would be a disaster. On the other hand the clergy must abandon any myth that we are an elite caste with lay collaborators. Chaput believes that due to clericalism, too many Catholic bishops and priests have failed God’s people. It is only ‘when Catholics are able to trust their leaders that the Church is strong. When they don’t, or when they lose sight of who, and what the Church is, she is weak’ (p 188). The renewal of the Church lies in re-discovering the call to discipleship received in Baptism. Bl. J H Newman teaches, ‘All other Sacraments stem from Baptism and from its missionary mandate. In Baptism, Jesus designates each of us to proclaim the truth about him as a prophet. He calls on us to order the world to his glory as a king. And he anoints each of us as a priest to offer him the spiritual sacrifice of our life and love – to take the pain and toil and beauty of the world and raise it back up to him in worship’ (Chaput p 195). As former Anglicans we grew weary of being presented with new management projects, pastoral plans, budget reviews, new liturgies, biblical translations and changes to the Church’s orders as the panacea for the Church’s ills. In contrast, the process of repairing God’s house, according to Chaput, begins with each and every Catholic believer making an effort to reform his or her own life. To put it simply, nothing else matters unless Catholics rediscover their Catholicity. He quotes from the Letter to Diogenetus that says ‘Christianity was born in a world of abortion, infanticide, sexual confusion and promiscuity, the abuse of power and exploitation of the poor’ (p 213). Our situation is not new. The Church has always had to be itself if its mission is ‘not to turn the whole earth into heaven, but to bring heaven upon earth’ (Newman quoted by Chaput p 217). This task is becoming harder in our culture where truth is relative and life has little point. Do we take the Benedict option as Rod Dreher in his book of that title suggests, of retreating to the margins of society and living out our Catholic life in ghettos? Chaput thinks not because the world will come after us and the critics of the Church will become even more zealous. He reminds us that God calls us to be the soul of the world that Jesus saved, whatever the cost of doing so might be. Chaput (p 273) calls us to renew our parishes, schools and communities so that our children and we learn to live and think as Catholics. Renewal is not Revival that is trying to create some perceived golden era of the past. Neither is it about doing the latest thing to guarantee Survival. Renewal is likely to happen when we have been brought to our knees and acknowledge that we are almost finished because renewal is not something that we do in our own strength. It is done in and through us when our energies are spent and God’s new life can begin. Renewal is the Resurrection at work, making new things out of things that had grown old and raising up those that had been laid low. Renewal involves costly change, but as Newman points out, life on earth requires change, and to be perfect is to have changed often. I believe that the erection of the Ordinariates is an opportunity for renewal in the life of the Catholic Church. Yet it can only be so if those of us who are Ordinariate members, worshippers and supporters make visible how our Catholicised tradition has an important place in the Church from which it has been separated for 500 years. The Ordinariates are not called to revive some imagined glorious past, nor are we called to ape our fellow Catholics in the local dioceses as some sort of survival technique. We are called to be prophetic by sharing our experience and consequences of ecclesial life separated from the Church. We are called to be priestly in living lives of worshipful, liturgically ordered self-giving, and be a strength to the Church as it stands firm in God’s truth and seeks to grow his Kingdom. We have spent five years discovering God’s will in the tavern; it is now time to hit the road and journey with our fellow believers. 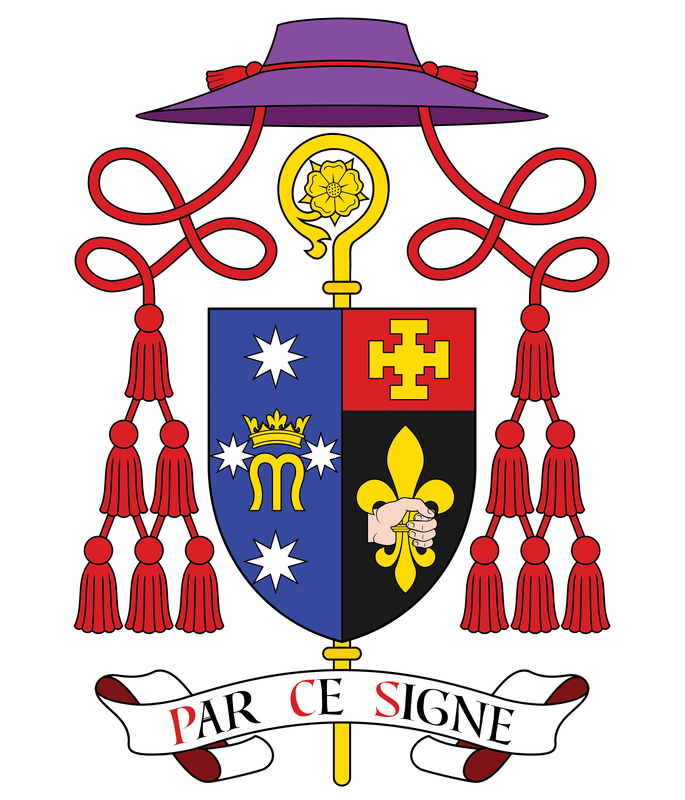 The Personal Ordinariate of Our Lady of the Southern Cross (OLSC). This entry was posted in Uncategorized by Simon Dennerly. Bookmark the permalink. This is great! Thanks for posting it. We have a lot to proud of in our Ordinaries.